Many Chicagoans play sports and/or take exercise classes all year round. Whether playing basketball indoors, volleyball inside/outside, indoor/outdoor soccer to name a few, in addition to HIIT classes, Cardiosculpt classes, and Yoga, these activities can lead to ankle injuries because of the high impact nature. Other factors that can lead to ankle injuries are shoes that are not supportive anymore or shoes that need replacement (where the shoe soles are completely worn down) because they are too old. Often, when patients come in and tell me that they have “rolled” their ankle several times playing different sports or participating in different workouts over many years, he/she does not realize how much damage he/she is doing to their ankle. This article will explain why treating the ankle sprains when they first happen will limit further injury and instability to your ankle. When patients complain of chronic ankle pain, one of the questions I always ask is: Have you sprained or injured it before? When he/she says I have rolled it a few times, but it was no big deal and it did not prevent me from moving, I will educate this person on the 1st visit that these repeated twists created more damage to the ankle. Scar tissue builds up, weakness in the ankle and foot occur, followed by increased tension of certain muscles/tendons that move the ankle/foot will occur to try to support the ankle now that the ligaments are weak. Also, notifying them that rehab is a major component of their care will allow them to fix the injury without any residual effects in the future despite taking more time to heal properly. Because the majority of ankle sprains affect the outer part of the ankle, repeated twists can compromise ankle function weakening the ankle and thickening the ligaments because of repetitive injury limiting flexibility and mobility of the ankle. Sports/activities that involve starting/stopping and cutting will likely be painful too. Patients who suffer ankle sprains can consult and treat with a sports chiropractor as they treat injuries outside of the spine, including the ankle. I work with Ballet Chicago, one of the premier ballet dance programs in the country and many of their dancers at 1 point or another will suffer an ankle injury from their training. Identifying the severity of the ankle injury when he/she presents to my office, will determine how long it takes for them to heal when recommendations are given. 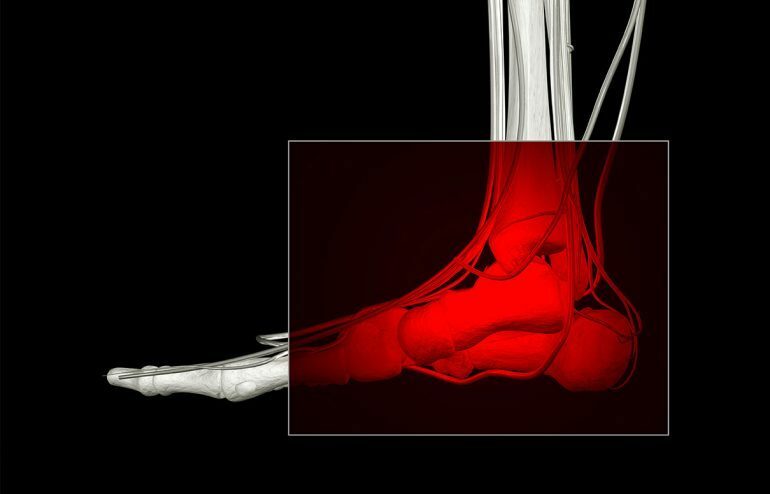 Treatment will subsequently follow with chiropractic manipulation, Active Release Techniques (to break down scar tissue), Kinesiotape to support the ankle, and rehab exercises to strengthen and stabilize the ankle and lower leg. This process of healing your ankle properly may take longer than one would like, but when you have fully regained your strength a few months later, your hard work will have paid off from lessening the recurrence of this in the future. When you put the time in, you see the results!